Ross panted as he looked for Zanna. She didn't seem to be here yet. Worry pricked his pelt but he forced himself to stay calm. He climbed up to a high cliff, staring down into the water as he sat down. The male sniffed the air, wondering if Fraicre followed. He peered over the edge of the cliff. It was a long way down from the water. He shuddered and waited as the moon continued to rise. Silent as the wind, the figure flinted over the terrain. Her claws tore into the soil, ripping the grass from it's roots as she ran. Weaving around the bases of the towering trees, she navigated through the decaying undergrowth, hunting her prey. His intoxicating scent was on the wind, taunting her. Come back to me, m'dear. Let me listen to your heart flutter, let it fail. For the first time in her life she was alone, torn from her guiding spirit, left alone to plummet into an abyss of nothing. The voice, the being that took on Fiacre's vocals, it was so magnificent, flawless, divine. If only she could hear that hiss, that growl once more. To be taken under it's wing as it guided her. See needed it. Her pace halted abruptly at the sight of a towering cliff before her. He was there, her voice was there. A smile twitched upon her face as she giggled. Cannot flee from me any longer little bird, flail off the cliff, make it simpler for me. Lowering herself to the ground, the onyx wolf leapt upward, her claws scratching the pale surface of the exposed rock as she stalked her way up. In only a few moments he would be hers once more, his blood would stain the rocks, paint the walls. An abstract art, so magnificent and free. The ground crunched under the feet of the white female as she padded leisurely along a beaten down path. It had snow for a good long while, all night, and all day yesterday, but now it had finally stopped. She had postponed her journey for this particular reason. She had no wish to get caught in a snow storm. Her abnormally large and bright blue eyes studied the pathway she walk on. Some wolves were already there. 'Ross," She guessed. 'but there is another..." She halted abruptly, taking the trouble to stoop down and smell the set of paws that were unfamiliar to her bizarre eyes. They didn't smell familiar, either. She lifted her small head slowly. What was waiting for her at the end of this path? 'Ross,' she said, hoping. 'and...' she wrinkled her nose in thought. 'A new member?' She carried on, trying to feel nonchalant as she padded forward. But her muscles tensed unintentionally, and she kept a careful eye on her surroundings. Trudging on through the snow drifts, her small paws sinking into them easily when she tried to jump over them. She couldn't really jump over them, her jumping distance only went so far. She always ended up jumping smack dab in the middle of them, and sinking up to her belly fur into it. Fighting vainly with the snow, she could feel the white blanket that covered the ground grow more shallow as she neared the cliff. Looking up from her paws, she saw a oddly colored wolf. She cocked her head to the side, wondering what it was doing, sneaking like that. Looking on top of the cliff, she saw Ross. Was that wolf sneaking up on him. Bouncing from the snow, she gave out a loud snarl to alert either one of the wolves. "Fit like? In the name of the wee man!" she grunted. "Awa' an bile yer heid, Lass!" she growled at the female. Scottish phrases: Fit Like: Doing well? In the name of the wee man! : Oh, for goodness' sake! A hunt, in its purest form, relied upon nothing but instinct. To fall into it's grasp was a commitment worth living, an overcastted thrill of its own. Each movement felt dictated by an outside source, she was merely watching, observing. Parting her jaws, she clicked their ivory surfaces together enjoying the sound of bone like objects cracking together. Under the quilt of night the onyx hued demoness slinked forward, surreptitiously drawing closer to the brute. In the light of the moon she could make out his silhouette, his frame that had been facing her not to long ago. The creature's steps faltered as she recalled their encounter. Her thoughts were stepping in, taking over the beacon of guidance, the lethal command of instincts. Memories, she scoffed in her thoughts, such a useless thing, serving no purpose aside from tormenting a faltering soul. Questions, doubts, such a squander, a voice hissed in her auds, agreeing with her. Fiacre's dull black talon like claws extracted against the earth and her shoulders rolled loosening the tensing physique. She had been correct, the voice had resided with the brute, waiting for her. Sliding her eyelids over her bleak golden orbs the demoness relished in the voice's smoothing call, her own coaxing tone. A call piercing the silent veil of night tugged at the demoness's thoughts. Straightening up slowly, Fiacre turned her gaze toward an alabaster coat glowing in the moonlight. What color would blood take upon your fine pelt? Would it stain thine pure soul, thine heart. Fiacre tilted her head to the side envisioning the blood encircling the snow white pelt. splattering against the darkened seas within her eyes. The fae's tone wound Fiacre in a circle. Such a queer manner of speech, harsh, quick, it was unnatural, an abomination like a screeching bird. The beauty would be flawless asleep, to never awake again. And yet Fiacre wanted to hear the strange manner once more, it seemed so deranged, a hilarity awaiting. As if granted her wish, the fae spoke again, ordering the demoness that stood rooted into the cold platform. "A flower so sweet, armed like a rose, tell me dear. Your voice like a hawk, shattering the sky in a single note. What calling do you go by that dictates your untruthful reign over my actions?" Fiacre asked sweetly, directing her attention to the new arrival. Speak your final words falsely and your pelt will be just a song of your past. The white female looked flustered. How could such an evil wolf speak such beautiful words? She bared her teeth, determined not to listen to her words that seemed to envelope her in a strange covering. Shaking out her fur tensely, she peered at the wolf further. She knew now that this was a female, her voice coming clear to her ear drums. "What calling do you go by...."
'Shut up!' she thought inwardly, snarling. Zanna took a proud step forward, growling savagely. "Haud yer wheesht! Aye, ye puddock, I be high heid yin!" She said, proudly. She puffed out her chest a good deal to show her dominance. Haud yer wheesht: Be quiet! Aye, ye puddock: Yes, you frog. Ross flicked his ears up as a snarl erupted not far from his place of rest. He swiveled his ears, then his head, towards the sound. He jumped to his paws, the svent of Zanna and Fiacre wafting past his nose. Fear pricked his pelt. Was Zanna hurt? Was Fiacre? He couldn't help asking himself. She would make a formidable pack member, and perhaps a good friend. Taking long strides towards the quarreling females, Ross' red eyes flicked with uncertainty. "What manner of annoyance is going on here?" He snapped. The small ivory female looked up quickly when she heard a familiar voice calling out in what sounded like annoyance. Her large azure eyes blinked with warm recognition. It was her fellow Johtaja, Ross. She sat back on her haunches and pointed with her muzzle at the strange female standing before her. "Wee devil lass, aye? She's up to high doh!" she said, shaking her head slowly. "Yer aff yer heid, lass!" she flicked her long, fluffy tail in vexation. She blinked at the older male, then swung her head over to the black female suggestively. Wee devil lass, aye? : Small devil girl, right? She's to high doh! : She all riled up. Yer aff yer heid lass! : You're crazy girl. Oh dominance, the small changes in one's physique to prove their higher worth. Fiacre could not help but allow a smile to etch into her maw. Such a queer little fae stood before her, puffing out her and speaking orders in her accented voice. It was a mask, a way to shield out the outside from being touched. Fiacre snickered, bowing her cranium to expose her crown. The little bird had attitude, a screeching melody of her own. A new sound of joined the fae's tone, the sound of another approaching. Catching herself mid snicker Fiacre looked slyly toward the approaching from of a brute. So her prey had heard them exchange greetings and came down to investigate the manner himself. Annoyance? Why we only speak our hearts content, is that not what you creatures believe in? Once more the fae cawed out, directing her speech to the approaching brute while mentioning the demoness present. Fiacre lifted her cranium up to its normal position as she glanced toward the brute. Anger drifted off him in waves, striking her in a calming allure. Oh how far could he go until he cracked, until he understood her pleasure, her desires. "Insanity," Fiacre spoke, her growl twisting into a deranged purr. "The light of darkness is for one to interpret, to embrace or to fear. Speak your saccharine words in your leisure but act not like my presence is a mere whispering breeze combing through your snow white fur." Oh you tempt me dear, such a coaxing sound thine voice is and yet you shelter not in secrecy. Ross whipped his head around to face Fiacre. "Fiacre! I thought you would have returned to the depths of your shadowy heart!" She snarled, his eyes demanding an answer. Turning to Zanna, a crooked smile formed on his face. "This is Fiacre, my... aquintance." He introduced, giving Zan a friendly, but pwerful nudge. His pitch black nosed twitched as he flexed his shoulder, claws tearing at the ground. Zanna's accent always amused him. 'But with this devil around, I won't be getting any peace!' she sighed inwardly. The wheels in her head began to turn as she thought of ways that she could get this seemingly psychotic female away from her, and for her to take her sweet voice that dripped with lunacy with her. The voice. Ah, yes, the voice that echoed evilly in her ivory head. The voice that so filled her with fear and hatred. Her thoughts had been enveloped with fog when that voice had first entered her mind. '...a mere whispering breeze...' Her thoughts exactly. '...combing through your snow white...' And there it was, speaking to her words tat were already said, but in a different manner. In a coaxing, slow, deranged manner. But all her words seemed to be deranged. Zanna smirked. That thought amused her. Her strange thoughts were shattered all at once when a powerful shove connected to her shoulder, and she staggered through the deep drifts of late fall snow, nearly tumbling straight into them. After regaining her balance, she growled grumpily. "I’ll gie ye a skelpit lug!" she threatened Ross playfully. "Ah umnae crabbit. Hoots!" she flicked her tail. Pointing her muzzle at the black female, called Fiacre, and glared at her. "Ye slater, yer black as the Earl of Hell’s Waistcoat! Hell slap it intae ye ah is fair scunnered!" I''ll gie ye a skelpit lug! : I'll slap your ear! Ah umnae crabbit: I am not bad tempered. Hell slap it inae ye ah is scunnered! : Its your own fault I'm vexed! "Alas, Ross if my heart is as shadowed as it is preached the darkened tendrils should lay their claim upon such a fragile organ." Fiacre spoke sweetly as she clawed at the surface of the rock absently. What I sought to reclaim from your own shadows has returned to me, what feeble thread now claims my paws to this land I know not. What force tethered her wandering abyss of a soul to these lands. Was it the mists that claimed her heart, the manipulating shadows that fell upon the ground in eternal darkness? Fiacre shrugged it off, if the fates wanted her here, if the voice wanted her here she would not stray from their bidding. Ross's voice lingered in her mind, she was an acquaintance? What kind of labeling was this, an inferior rank? The hierarchy of social interactions seemed useless, just an added complexity. Observing the brute nudge the fae Fiacre had never seen such a thing. A touch was a sign of affection from what she had deduced and a shove was a sign of hostility but what was this odd medium which they had. Fuss not over them, a voice whispered, their smirks will soon be gone from your sights, nothing more than a scratch upon a rock. Fiacre hummed a single soft note of agreement. So long as time permitted she craved the touch of these woodlands. Welcomed or not she would linger within their intricate depths and fester in the strength of solitude. A throaty chuckle escaped Fiacre's gleaming jaws as she heard the white snow flake speak once more. "You are haste to spread your blame upon others," Fiacre chided, her frame swaying with her laugh. "Queer for you to insult a stranger without providing your given calling." Ross gave a subtle grunt in respons eto Zanna's playful teasing. "I'm getting to old for these games you play, Zanna." He complained with a dramatic sigh, flopping on the ground. His crooked jaw gave him a funny look as he stare up at the two from big red and green eyes. Getting back to his paws, he heaved a sigh, scratching behind his graying ear. "Your scottish accent never ceases to amuse me." He teased Zanna. Zanna was more like family to him, but, he had known he rfor awhile. Therefore,.it had been hard not to get attached to the excited young female. His ears twitched as Fiacre spoke. "Fiacre, obviously something haunts you, as something does me. But go drop it somewhere else. Unless you decided we must have a private conversation about it?" He growled, his words a thinly vieled threat. Fiacre watched the brute plummet to the ground in a mockery to the deceased. Staring down upon him, she slanted her head to the side, staring down upon him in puzzlement. An odd reenactment, a way to make something more dramatic. In the light of the moon she noticed the two miss-matched eyes, alight with emotion. The crimson hue of spilled blood and the green light of a new spring day. An interesting contrast for the demoness to notice. As Ross rolled back onto his paws Fiacre could not help but continue to stare at the combination of coloring. His crooked jaw twisted into a smile at the white wolf's words, the white wolf whom carried no name in Fiacre's sights. Abruptly the brute turned upon her, lashing out at her for a mere comment and a question. Thinking back, the onyx hued demoness pondered over her sentences, failing to see how they were provocative. Her thoughts spoken aloud seemed to be incorrect, a false formation. "Hmm perhaps a private acquaintance with you would solve my haunting matters," the femme replied, her words twisting with the underlying curiosity. What quarrel you seek with me will be evenly matched. Ross' fur bristled at the ebony female's even reply. Snorting he led the way into the bushes, stomping a few down as he crashed through the woods. There was no need to be silent now. He sat down in a grassy clearing, not more than a few yards off, just away from Zanna's prying ears. Waiting for Fiacre to catch up, Ross wondered why she chose to discuss it. He felt as if she had much more in store for him them the eye can see, and he frowned, his crooked jaw giving him a very odd appearance. He settled down on th eground, his black back glistening in the moon light. His ears twitched, he was getting bored waiting for the female. The brute did not make another sound as he turned away from her. Fiacre's eyes narrowed slightly, the brute had complied to her request without a complaint. Slithering past the alabaster coated fae, Fiacre's gaze lingered on the white pelt as she brushed past the femme. It was clear the unnamed female would not be warming up, she was shut within her own walls with only space for one. Oh my sweet beauty, thou shall learn not to cross me. Quickening her pace, the deomoness slipped into the undergrowth, her paws automatically carrying her after the brute's scent. Within a few long moments she found him seated, settled upon the forest floor, waiting for her. Ross didn't turn to look at her as she approached. "So, what misgiving sor whatever do you wish to share?" He asked, swiveling his ears in her direction. The large male yawned, his eyes growing sleepy and starting to close. "Get on with it, being as old as me, you get tired easily." He chuckled, but more to himself. 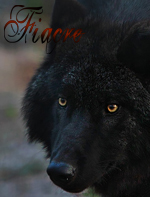 The grayish-black male finally turned to face Fiacre, green and red eyes open and filled with secets. There, just a hint of it, was a small gilmmer of trsut and respect for Fiacre. She held her ground, when most would flee from him. Just like Zanna. He wondered what would become of them. He decided he would become friends with Friacre, but would try not to get to attached to her. The small female watched the conversation with a careful eye. Seeing their need to be alone, Zanna immediently looked hurt. But no one seemed to notice. The two love birds of them walked off to a secluded spot in a bush, and the ivory female stared after them sulkily, wondering what could be said that she could not hear. She stood up slowly, her fur bristling slightly. She knew exactly what was going to happen. Fiacre would say her sweet little words and take Ross by surprise, and then off the two of them would go, muzzle beside muzzle, leaving her here alone. Staring down at her paws angrily, she determined she would do everything within her power to not let that happen. Oh, no, they didn't! Not with her around! With her on the case, that thought would never come to pass. Stalking toward the bushes, haunches low, eyes wide, neck down, tail brushing the ground lightly, her paws made no noise on the snowy terrain. Sliding through the bushes as quietly as possible, she realized at once that she would have no difficulty in hiding in the snow surrounding the two who were talking inside the cover of the bushes. She growled. They wanted to stay away from her, did they? They would have to try harder than that. Scooting through the snow under the bushes, she paused for a moment, taking in the scene. She saw ross lying on the ground, his eyes looking up a Fiacre. Something about her appearance at this very moment made her think of something, but she couldn't remember what she should be thinking of. "Misgivings would not be a correct term for it," Fiacre spoke with almost a hum as she drew closer to the brute. She slinked closer, pressing her coal black nose into his shoulder. How queer it was for her to seek comfort from another soul, she craved to be near this brute, to learn his darkest secrets. And yet, her attempts each failed. A tortured soul did not give in easily to a tampering, she concluded silently. It would matter not how much the brute pushed her away, the masks he wore were too thin to cover his agonizing secrets. "I cannot guarantee I will not bore you with my words," she whispered softly, "I merely wish to heal your open wounds, to stop their poisonous bleeding upon your soul." Beneath her touch she felt his frame stiffen into a rock for only a moment before falling slack, softening, allowing her close. Shifting closer, she pressed her cheek into his pelt, feeling the heat against her and the heart beat slowly drumming. Registering his question, her lobes swiveled forward. "The physique of a being is only it's shell," she muttered, "the strength it carries is the will to survive. Like an ember is burns low, close to vanishing." Then darkness comes, peace, joy, she continued in her mind. "It is vulnerable, easy to waver from it's course. The wounds struck down upon it are visible no matter the black wing used to hide behind." The peace would call to you but your heart refuses to skip over, to succumb to a barren land. She took him to be a suffering soul, on the verge of two crossings. She felt his muscles tense as he lowered his cranium down toward her. No! A voice hissed in her lobe as if originating from the brute. Fiacre stiffened, her ears fell flat into her skull. A ringing replaced her silence. He had trespassed upon the realm of the voice, the throne upon which it sat lay under siege by his touch. She could not give away the moment of mental agony. Regaining herself quickly, she relaxed hearing only the sound of the voice muttering as if in fury. The female's eyes grew wide with shock, her ears flattening to her skull. Her jaw gaping wide, her face full of fear. Fear. Fear! Yes, even she, a small, young, proud scottish wolf, had fears, one being left alone. Alone. All alone. In split second those two words rolled in her mind torturously, and she could see herself, alone. Alone on Obelisk Ridge. Alone at the Vista Den. Alone on The Moss Mountains. Her loneliness, what would it drive her too? Her life, filled with miserable days of being alone. Alone! Her eyelids closed over her beautiful azure eyes, the once so filled with joy, curiosity, closed on the sudden sorrow memories brought. Every wolf had memories of their own, and every wolf had a secret. Knowing both of these wolves, however short or long, she knew their secrets were far deeper than her own. A sudden thought entered her small head, and her eyes shot open. She suddenly remembered how Ross had walked away. Away from her, and realized that before he had been suggesting they talk alone. Was she a nuisance to them now? A nuisance! Is that what she was? "Hoots!" she shouted suddenly, standing up, her eyes cold. "Gaun jus’ bugger aff wid ye!" she cried out to Fiacre. "Yer all bum and parsley, aye? Tatties o’wer the side." she paused, lowering her head sadly. "Gen up...Ya dobber...Ya muckle gype! Ah’ll molicate ye!" she shouted, then turned tail and ran. Gaun jus' bugger aff wid ye! : Go away, won't you? Yer all bum and parsley, aye? : You're full of it, right? Tatties o'wer the side. : Everything has gone wrong. Ah'll molicate ye! : I'll beat you up, and teach you a lesson. Ross was about to reply when he heard a shout coming from the bushes. 'Zanna!' He thought with dread, realizing she had probably seen his false display of affection and assumed it was true. Fear and sadness flooded through his fellow Johtaja's gaze. Confused, he hardly understood what Zanna said to Fiacre, as that was where her anger seemed to flow too. Ross was surprised at the fear pulsing off Zanna in waves. What was she so afraid of? He didn't know, but he cleared his throat and took a step back from the quarreling females. He was so baffled by Zanna's sudden appearance, he had lost his edge. A relentless string of sounds sliced through the silent air, driving a wedge between the peace and pleasure. Fiacre felt the brute vanish from her side, his warmth replaced by the cold winds that engulfed her heart once more. What wrench dared intrude upon her, to stalk up like a mosquito buzzing an irritating pitch. 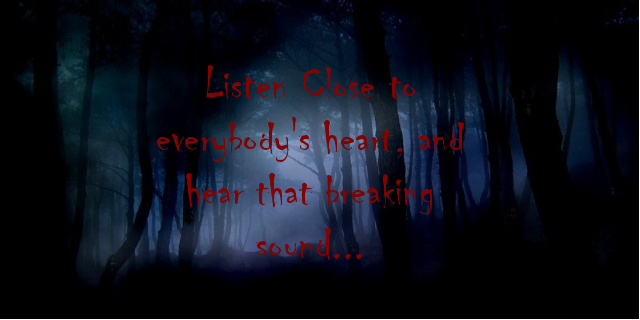 The sweet cawing noise made no sense, a string of sounds linked with few words. Shifting her gaze slowly toward the source, Fiacre merely stared blankly at the young snow white beauty that snapped toward her. The combination of sound and another hissing in her ear was not particularly pleasant. She willed both to fall silent and just let her enjoy a brief moment with the brute alone but it seemed the fates had planned otherwise. Unlike most times, both voices were furious by an unknown reason, a reason Fiacre cared not for. One of the voices fell silent, the melody of the white fae faded from the demoness's lobes. Seek your quarrels, a battle you cannot win but do not falsely assume I am our shadow. Though I yearn to chase you like the stalking of a white rabbit your claws will not strike me as you retreat into a darkened burrow. Fiacre's tail slowly twisted against the fine layer of snow. She had sat through the white fae's, watched her flee from the site in a tangle of emotion. It would be almost too easy to spin a thread around her, to convince her to fall under influence but it would affect the demoness's standing with the brute called Ross. Despite the games and hunts she lead her words were true, she did not want to see the brute hurt but which path he chose was still in her paws. Quietness, a stunned like emotion ought to serve me right in this moment, Fiacre thought. Ross watched as Zanna disappeared, ears flat and eyes distraught. "What have I done?" He whispered to himself, his eyes closed as he thought. He turned on Fiacre, his eyes now wide and blazing. "No! This is your fault!" He bellowed, his jaws snapping a mere inch from her face. "If you had just stayed at the den, and hadn't tried to trick my emotions, we could have all been friends, or at least you might not be here, which sounds better." He snarled, his white and yellow fangs gliting in the murky moonlight. His red and green gaze was ablaze with rage as he awaited a reply from the devilish female.